A term often used, is “Tanking”. Essentially, this is waterproofing used where the below-ground structure will be sitting in, or could be affected by, the water table continuously or periodically. The water table causes hydrostatic pressure on both the membrane and structure, which may mean full encapsulation of the basement structure in a tanking membrane, under slab and walls is required. 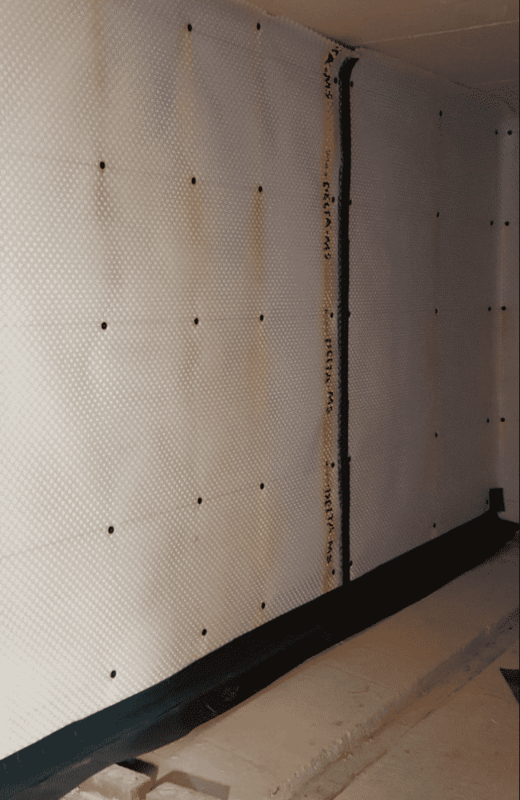 Waterproofing of a structure below ground level is designed to prevent groundwater, under hydrostatic pressure, from penetrating into the fabric, which will lead to dampness on internal finishes. By comparison, damp proofing is usually designed to control water vapor from soil moisture. It won’t stop the influx of liquid water, or groundwater under hydrostatic pressure. The general objective of any form of waterproofing to a structure, is to provide a dry environment internally. Where the ground is not saturated it will move through the capillaries of the ground and structure by capillary attraction (capillarity). When this form of moisture comes to the internal surface of the building, surface dampness is evident but there will be no free flow (flooding) of water. Capillary moisture can enter a structure laterally, such as when a wall is earth retaining and/or it can rise up from the ground through floors or free standing walls, appearing internally as rising damp. Where the ground is saturated and hydrostatic pressure occurs, water will be pushed through the capillaries of the ground and structure. Where the water comes to the surface the pressure behind it will force it into the property in the form of liquid water and flooding may occur. Firstly, nothing is absolutely dry. Water and water vapour will always exist bound up in the building fabric and in the air (atmospheric humidity). However, a building will generally be perceived as being dry, if the water present does not pose a problem for the inhabitants or contents of that building, or cause damage to decorations. When considering the most appropriate form of waterproofing, based on the general requirements of BS8102:2009, the installation of suitable heating and ventilation may also be required, dependent on the intended usage of the area. 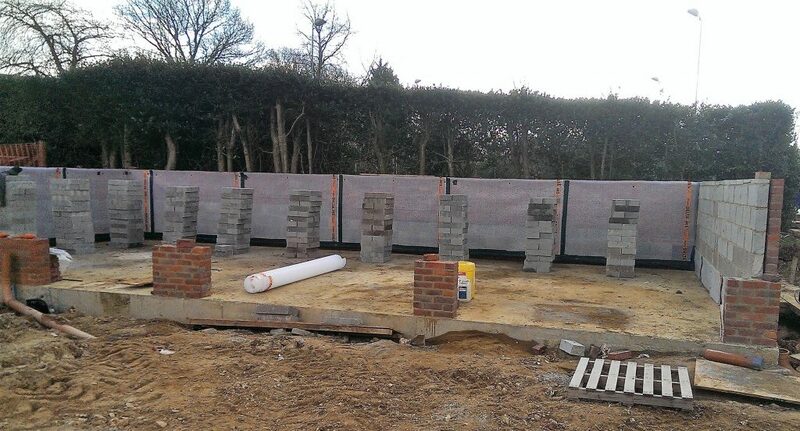 It is not a statutory requirement to design in accordance with BS 8102:2009. However, it is important that the potential risks are considered, along with general requirements, where the decision to ignore the threat of hydrostatic pressure may be acceptable. 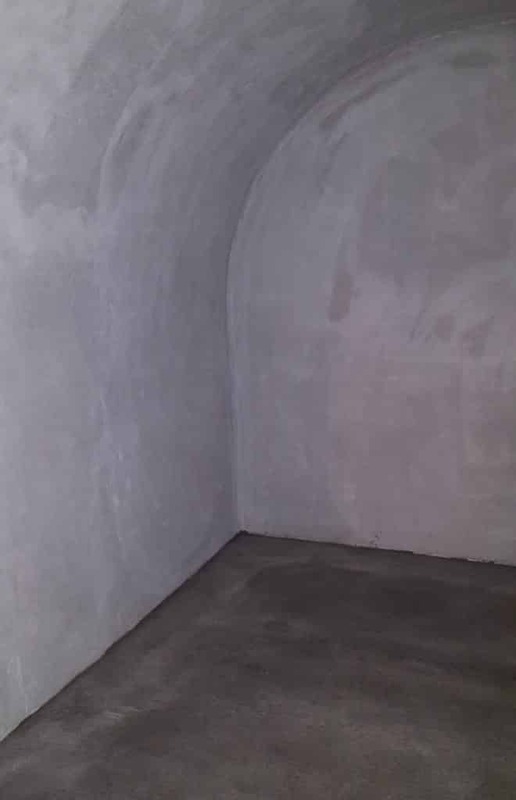 It is acceptable to provide a partial waterproofing and / or damp proofing specification only (as opposed to a full waterproofing system) as a cost-effective solution to a specific area. Waterproofing systems should be designed by a Waterproofing Design Specialist who can demonstrate that they have a suitable level of knowledge for designing waterproofing systems. The Property Care Association (PCA) provides training for surveyors and designers of underground waterproofing systems. The Certificated Surveyor in Structural Waterproofing (CSSW) is a recognized industry qualification which requires an understanding of waterproof systems and the ability to comment on them. Surveyors at Preservation Treatments are accredited with the CSSW qualification and are also registered on the PCA register of Waterproofing Design Specialists (WDS). One of the most regular causations of failed waterproofing systems can be attributed to defects in the installation. Conditions of certification for waterproofing systems will usually require that they are installed ‘under license’ of the supplier/manufacturer. In practice this does not always happen and, sadly, it is not uncommon for waterproofing systems to be installed by operatives who have no relevant qualifications and/or no previous experience of installing waterproofing systems. To improve this undesirable situation, installations SHOULD be undertaken by suitably trained operatives. This could be by operatives holding a relevant qualification in the application of structural waterproofing, such as a relevant vocational qualification. Alternatively, operatives trained and licensed by the supplier/manufacturer or PCA training could also provide a suitable demonstration of skill and knowledge. Grade 2 : This refers to workshops & plant rooms requiring a drier environment along with retail storage areas. Water penetration will not be acceptable, although damp areas – usually a result of condensation – may be tolerable. In order to overcome the possibility of condensation occurring, some form of mechanical ventilation, along with low-level heating may be required. Grade 3: is considered for ventilated residential and commercial areas including offices, restaurants, etc. ; leisure centres where a “dry” environment is required and water penetration in any form is not acceptable. Ventilation, heating, dehumidification and / or air conditioning may be necessary, appropriate to the intended use of the finished areas. It is not appropriate to try and cover all aspects of waterproofing in this brief overview, as they are very wide-ranging and there are many different – and acceptable – systems of waterproofing which can be specified to produce the required environment.